I posted a couple of weeks ago about my successful status match from my BA Gold card to Turkish Airlines. 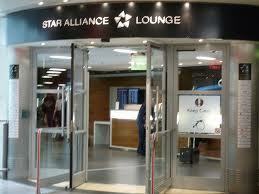 As Turkish Airlines is a member of Star Alliance, I now have lounge access across ALL 27 Star Alliance member airlines until my Turkish Airline Gold card expires in July 2014. Which is nice. My shiny Gold card has now arrived, along with the usual baggage tags etc. The covering letter highlighted one extra benefit which I didn’t know about. As a Turkish Airlines Elite member, I get a 50% reduction on a paid-for business class ticket for a companion when buying one for myself. There is no small print on this offer, so it is not clear if this deal only applies to flexible tickets or if all business class tickets qualify. It is also not clear if the companion ticket also earns full miles, although I would assume so. 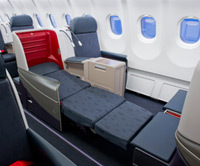 Given that Turkish runs a decent fleet of modern planes, is expanding its network and has a decent looking business class product (see seat below) this is an extra reason to try to get a status match from any OneWorld or SkyTeam Gold-level card you currently have. Details of how to get a match are in the post I link to in the first paragraph. Are they likely to match CX Gold from Amex plat? Depends how stupid they are, since CX Gold is mid tier and it pointless doing this for TK / Star Silver as that gives no lounge access except on Turkish. I can remember cases in the past where an airline mistakenly thought a non top tier Gold card was top tier, though …. Raffles: thanks – they have just matched BA Gold to Elite for 2 years – what a result!